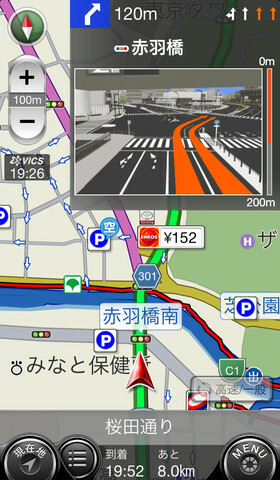 Navitime and KDDI announce [Jpn] collaboration offering full-scale car navigation application. Features included complimentary voice guidance even when offline, optimal route guide considering the latest traffic info and map display in positioning high-precision. Possible route search the optimal route guidance considering the latest traffic information on-demand VICS, set the time and specify the departure place. The spot of convenience stores along the route also searchable. Provides real-time information parking information and spot information, such as gas price latest info. Voice Control function deployment can be set, including route and surrounding area. This new “au car navigation” system, available for iOS with Android coming soon, is offering 3 Month free trial for those who sign-up before June 17th.